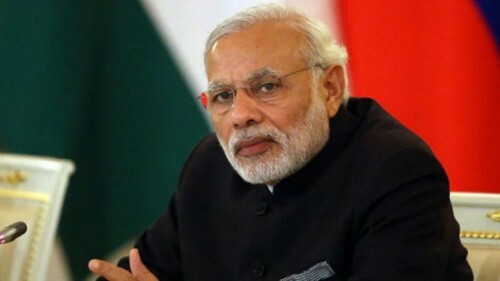 Amroha (Uttar Pradesh), April 5 (IANS) Prime Minister Narendra Modi on Friday addressed a public rally in Uttar Pradesh's Amroha and launched a scathing attack on the Congress for questioning the Balakot airstrikes. "It worries some people that we killed terrorists. When we kill our enemies, some people cry in India. When Pakistan is being unmasked in front of the whole world, they are talking about supporting Pakistan," he said amid thundering applause. "In the last five years, I did not let India bow it's head in shame even once. It is very important for the country to have a strong government. Today, the whole world is looking at India with so much respect... You know why that is happening? Who is responsible for this? No, it is not because of Modi... it is because of 125 crore Indians. Be it Congress, SP or BSP, they have put your life and future in danger."